Looking for serenity & room to roam for kids & pets? This quiet home on 6.29 acres is for you! 10 mins from Mission City & commuter trains yet surrounded by nature, this spacious home was built by a master carpenter with 2x6 framing, cedar siding & high-vaulted, tongue-and-groove spruce ceilings. Several decks are ideal for outdoor morning coffee or stargazing & the deep-drill well produces water at 10 gallons/min, enabling a bountiful fruit & veg garden. Upgrades include: new high-efficiency heating/hot water system, renovated bathrooms & new floors. The 26x18 garage has been converted to a games room and the basement is under renovation for extended family. 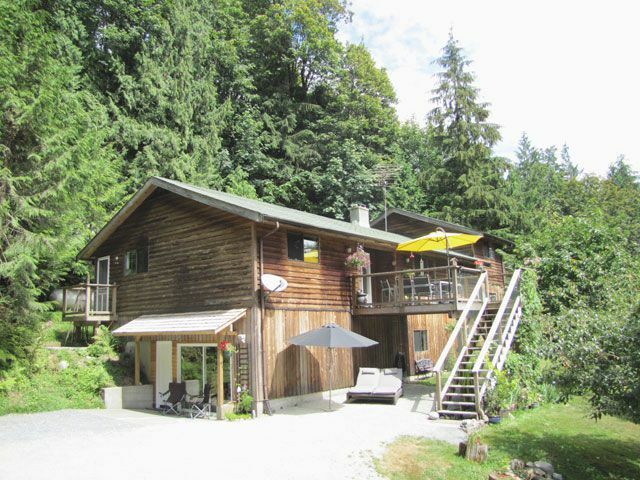 The property backs onto 99 acres of Mission Municipal Forest for added privacy & has everything you need to become self-sufficient.